*** Version 1.0.2 is released with increased Max Post numbers, please update to have the benefits of having more posts. 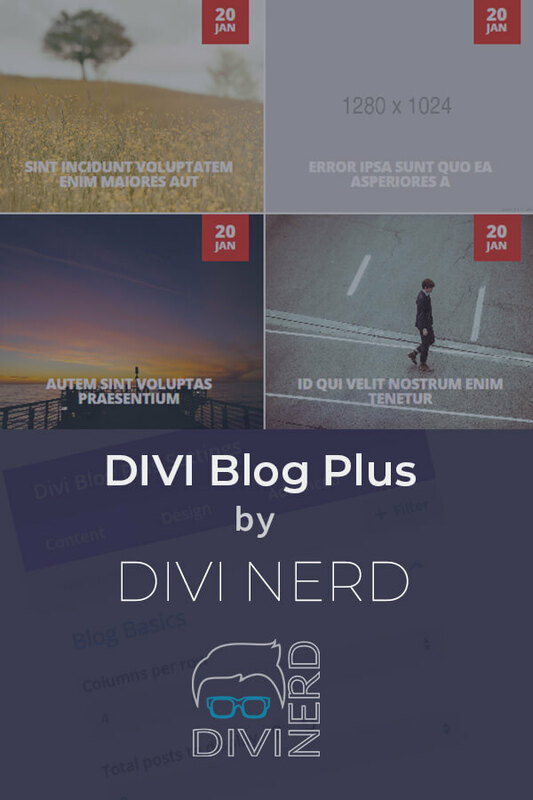 Divi Blog Plus is here to your rescue! It is developed in keeping the busy designer and developer in mind who do not have the time to customize the default Divi blog module. Divi Blog Plus comes with pre-defined responsive layouts which can be implemented instantly giving you the freedom of customizing every aspect of the layout. It couldn’t be easier than this. So here you go, make your website look pretty and COOL and waste no time while engaging new users. You have to enable the new Divi builder experience for using this plugin in the backend builder as the old classic backend builder is buggy and not compatible with latest features and eventually will be removed in the future Divi theme version. You can however use even older versions of Divi that is mentioned above and use the frontend builder to use this plugin but it is highly recommended to use latest versions for maximum compatibility. If you are using iThemes Security Plugin, you’ll need to allow the WP REST API to be accessible by changing the setting in “Wp Tweaks” then scroll down a little until you find WP REST API section and then select “Default Access” and save.